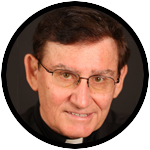 The event Father Guardini speaks of is our increased ability to harness power. When used responsibly, power enhances life. When used irresponsibly, it can destroy life. As science has uncovered newfound powers for advancing civilization, so too has it developed horrific powers that can reduce us to the Stone Age. Father Guardini points out utilitarian reforms aren’t enough for creating the correct use of power. Rather, the ultimate quality of culture is “determined by the decisions of the spirit.” It is a moral spirit that acknowledges that all power emanates from God, and it is our God-given responsibility to employ that power properly. Today’s morality has an awesome role to fulfill: Putting pressure on those who believe that “might makes right” and leads to lasting peace; and putting pressure on those who believe they are in control of Mother Nature. When God’s laws are broken, humankind is left to its own laws that lead to self-destruction. The word “tension” conveys stretching. Now more than ever, educational efforts must be stretched to their maximum to avoid global catastrophe. This should start with youth being taught God’s role is absolutely necessary for guaranteeing peace, the well-being of earth’s resources and a hopeful future. Our homes must become a mecca for discussions that center on the principles of peace, social justice, ecological stewardship and a morality needed to guarantee them. History is especially needed to debunk the idea that truth always wins out. As has been proven, the human spirit can be crippled and confused about what is valid, just and true. When confusion occurs about the truth, the door is left open for all types of works of evil. If the catastrophic is to be avoided, an increased moral tension must be generated. Humankind should think twice about its use of power and God’s role in making us its responsible stewards. The world now has the power to create an Armageddon of tension, and this calls for a spirit of morality.